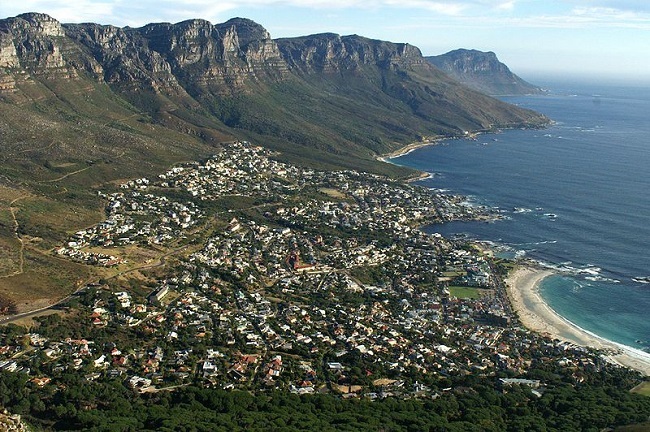 Nestled between Camps Bay and Hout Bay lies Llandudno in Cape Town. This small suburb is home to a beautiful beach, and some of the most exclusive real estate in the city. Unlike many other suburbs however, there are no street lights, restaurants or shops to be found. Thanks to these stringent rules, the suburb has managed to retain its remote village atmosphere for decades. This spot offers an excellent place for honeymoons, family holidays and any other type of getaway. While there may be no commercial activity in the suburb, Hout Bay is just a few minutes away, while Camps Bay, the CBD and the Constantia Winelands are all less than 15 minutes away. 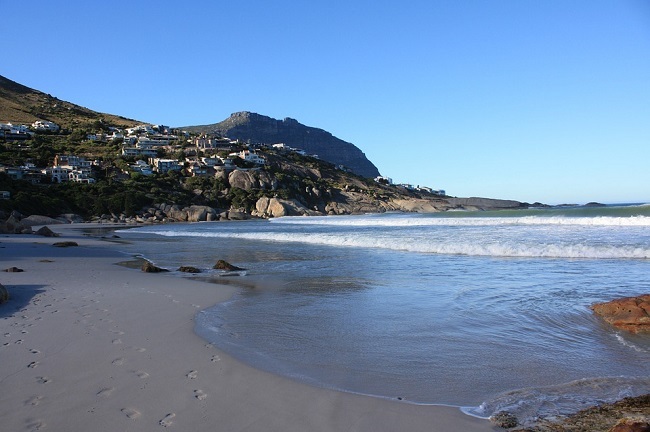 Wondering what makes Llandudno in Cape Town such an idyllic spot? Join us on this mini virtual tour as we take a look. 1. Its central location. Llandudno is ideally positioned on the Atlantic Seaboard, roughly 10 minutes from Camps Bay and 5 minutes from Hout Bay. The drive from either destination travels along the coast, offering mesmerising views of the Atlantic Ocean and the Twelve Apostles mountain range. The City Centre can easily be accessed about 15 minutes away, while the wine farms, forests and shops of Constantia are about 20 minutes away. This makes Llandudno central, without being in the middle of all the action. You can easily arrange an Uber or cab to get where you need to go, all the while enjoying the peace and quiet of this tranquil suburb. 2. Its beach. Llandudno beach is surrounded by large boulders, with mountains creating the perfect backdrop. It is not as crowded as some of the city’s busier beaches, with many dog walkers, frisbee players, families and locals enjoying the long stretch of sand. It’s also popular with surfers. The water here is fairly strong, so take care if you decide to take a dip. The water can also be very chilly, but it’s super refreshing to have a quick swim on a hot summer day! 3. Its accommodation. There is a growing selection of accommodation options here, which range from luxurious 5-star villas to affordable self-catering cottages and guest houses. Depending on your budget and requirements, this makes the area perfect for just about any travel. Many places are family friendly, and, with the beach and many other attractions to be found nearby, this area is made for family holidays. It’s also incredible for romantic escapes, offering lots of quiet and dazzling sunsets. 4. Its peace. As we mentioned earlier, there are no street lights, shops or restaurants in Llandudno. That means that the area is quiet and peaceful at all times of the day. There is very little parking for the beach, which seldom gets extremely packed. Once the sun goes down and the last of the beach goers leave, the area feels like it is far away from the crowds. This makes it excellent for any type of escape, allowing you to truly relax. 5. Its beauty. In addition to views of the Twelve Apostles, the area also has views of Little Lion’s Head and the Karbonkelberg Mountain. With the ocean, beach and boulders on one side, and mountains on the other, Llandudno in Cape Town feels like it is far away from everything. It is a favourite for many photographers (both amateur and professional), and the beach is often featured on postcards and guide books, for good reason. Whether you’re travelling in winter or summer, spring or autumn, Llandudno is always a perfect place to stay. Browse our range of self catering accommodation options for Llandudno in Cape Town to start planning your dream holiday right now! Alternatively, please contact us if you need help finding accommodation in this part of the city.